Captain John Cross was born on the 19th February, 1881, in Hamilton, Lanark. He was the son of John, (a tailor), and Catherine Cross of Quarry Street, Hamilton. He was the husband of Mary C. Cross, (nee France), of 70, Osmaston Road, Prenton, Merseyside. Cross studied Medicine at Glasgow University from 1897, and graduated MB ChB in 1903. 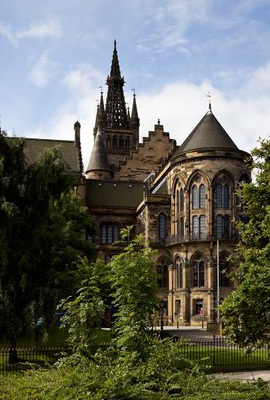 Cross first matriculated into Glasgow University aged 16. Within his first year of study, Cross took classes in Zoology, Chemistry, and Anatomy (Junior). In his subsequent years of study, Cross took classes in Physiology, Materia Medica, Senior Anatomy - Surgery and Pathology, and Midwifery. During his student years he resided at his home address of 91 Quarry Street, Hamilton. After study he later resided at 71 Quarry Street, Hamilton. Post-graduation, Dr. Cross spent a year at Victoria Infirmary, Glasgow, and then acted as locum tenens in Shetland. He later went to London and studied tropical diseases, and became a medical officer at Lagos, Southern Nigeria. He returned to the UK and began practice at Birkenhead. During this time he resided at 687 Borough Road, Devonshire Park, Birkenhead. Cross was a part of the Royal Army Medical Corps. He joined the R.A.M.C. in June 1917 with the rank of Lieutenant, and, "on account of his skill and education in tropical diseases" he was sent to Allahabad Hospital, India. Cross died at Allahabad, India, on the 21st July 1918, aged 37. He is remembered with Honour at Allahabad New Cantonment Cemetery.